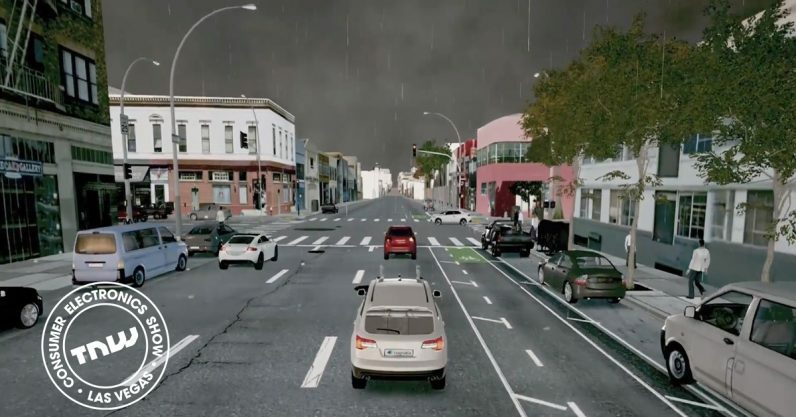 Cognata, an Israel-based artificial intelligence startup, is showing off its simulation engine for autonomous cars at CES 2018. Developers can simulate any city in the world and set parameters like weather, traffic density, and time of day. The environment provides viable data for all the sensors a driverless car uses – RADAR, LIDAR, image recognition feedback, human driver predcitions, it’s all there. Truly driverless cars showed up last year, but there’s still a ton of work to be done. These cars will need to drive billions of miles in order to train the deep learning systems that power them. There’s also the problem with being prepared for edge-case scenarios that manufacturers may not be ready for until they actually occur, as was the case in a fatal accident involving a Tesla last year. Cognata researchers are already ahead of the curve, having exposed and addressed a “blind spot” issue other companies had previously missed. If the company isn’t on your RADAR, it might be time to pay it some attention. It’s here now! Cognata is at CES this year showing off the platform. For more information visit the company’s website here.